1326 Clamshell ProxCard II non-printable, slotted. 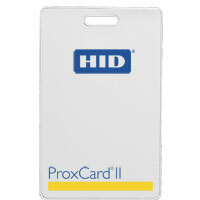 cards, manufactured by HID for ADI Global. - Pack of 25 cards. - Non.-customizable, ready to use, supplied off the shelf. Guranteed no card number duplication.